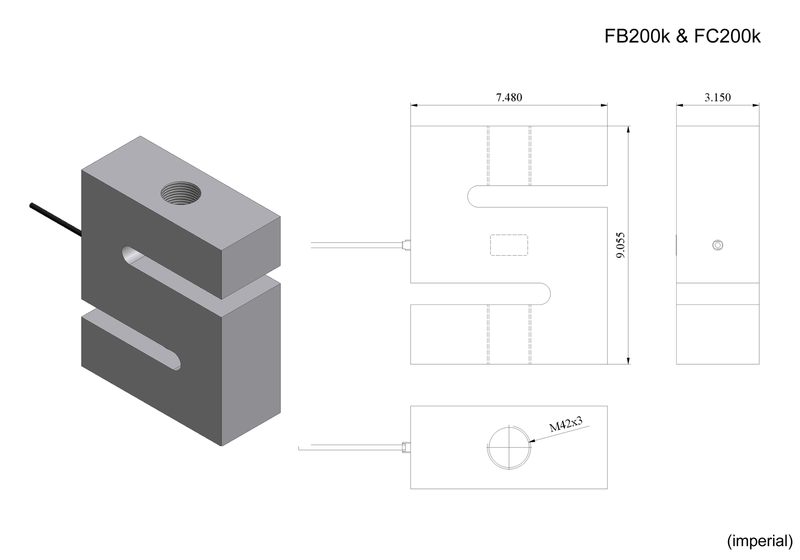 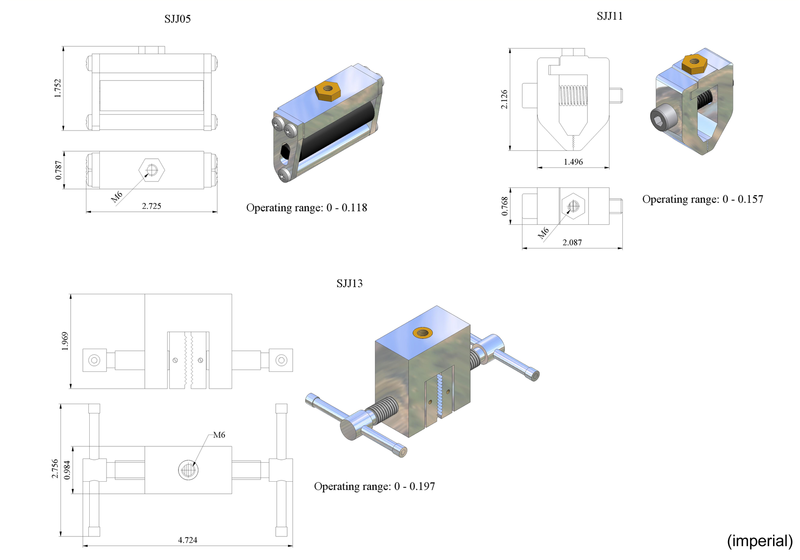 The FB series ranges in capacity from 1lbF (5N) with a resolution of 0.0002lbF (0.001N) to 10,000 lbF (50kN) with a resolution of 2lbF (10N). 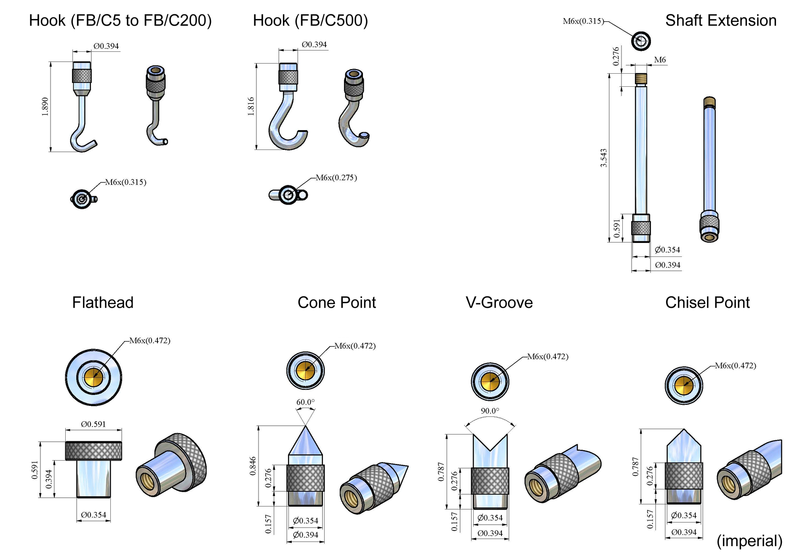 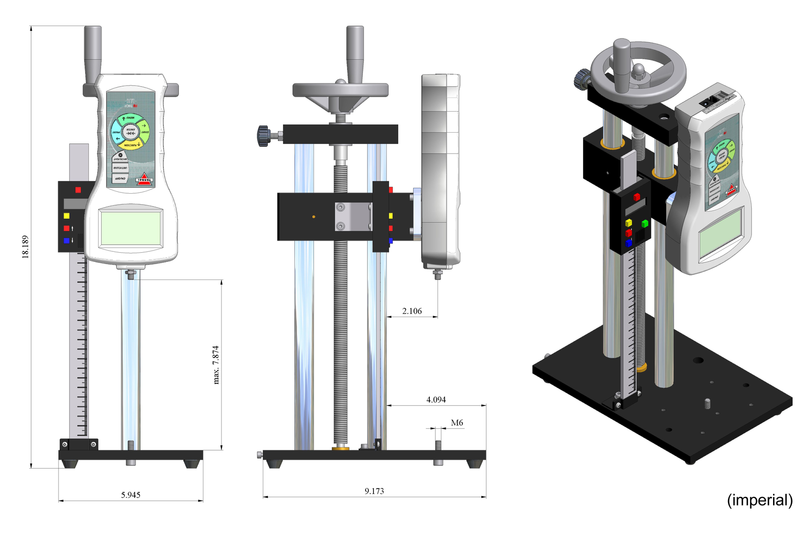 The FB is an affordable fully configurable force gauge designed for a wide range of tension and compression applications. 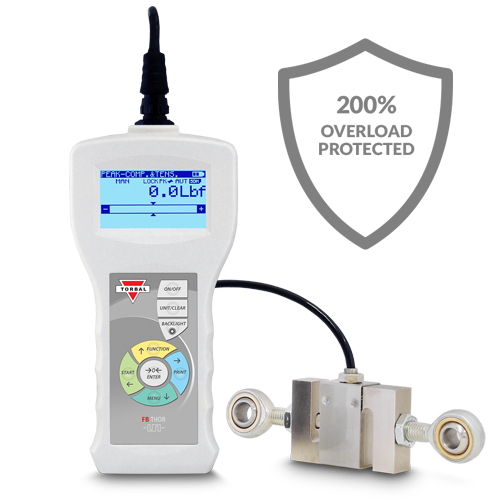 No complicated configuration or setup, the force gauge is intuitive and easy to use with logically arranged user menus which allow for out-of-the-box use. 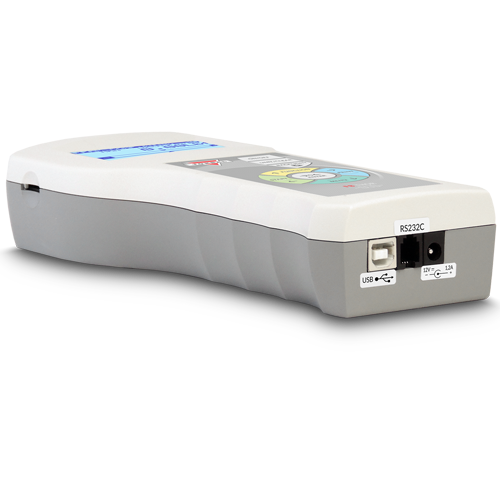 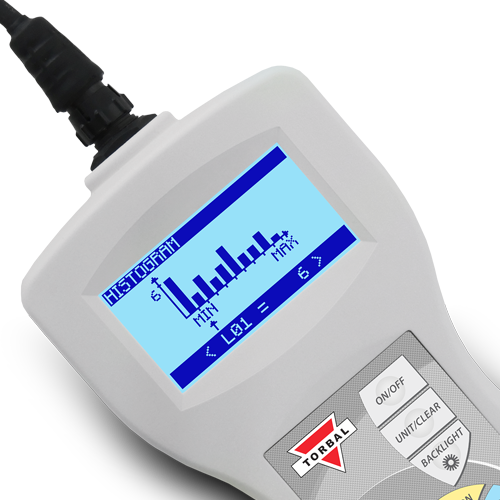 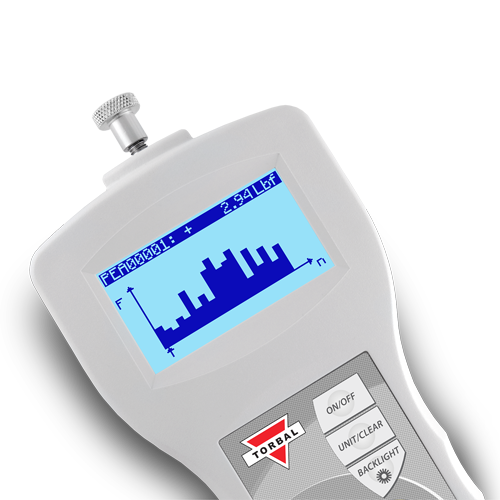 The unit includes all essential force measuring modes such as Peak, Multi Peak, and Standard (Real Time). 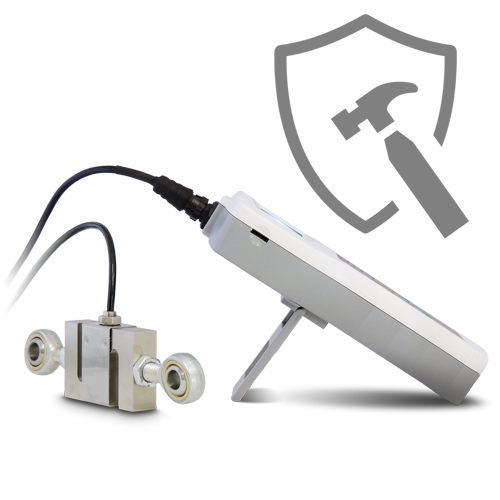 Easy-to-use Pass / Fail threshold settings makes the FB ideal for quality control applications. 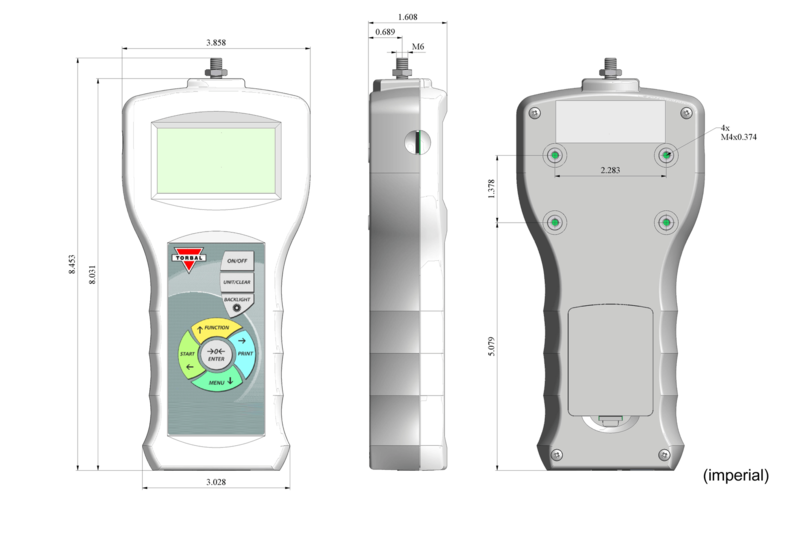 USB, RS232, and microSD allow for easy PC connectivity and measurement data management. 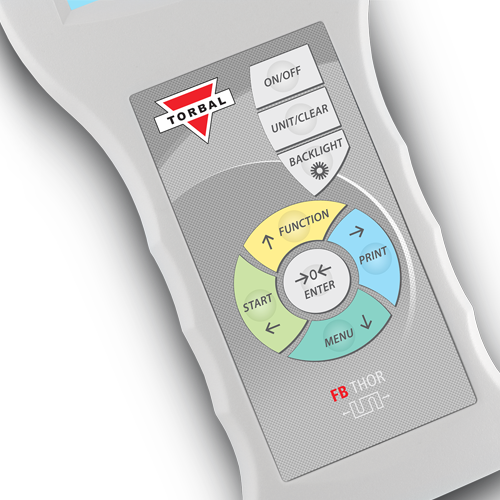 The FB series is equipped with four powerful and easily removable batteries which keep the force gauge charged up to 32 hours. 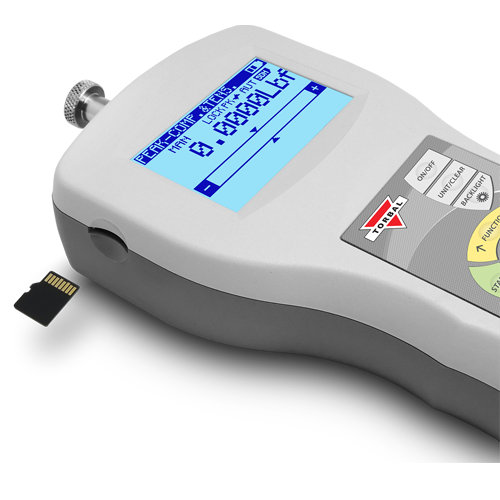 The force gauge is overload protected up to 200% at full scale, and equipped with a used-capacity-indicator which shows the amount of capacity used during force measurements. 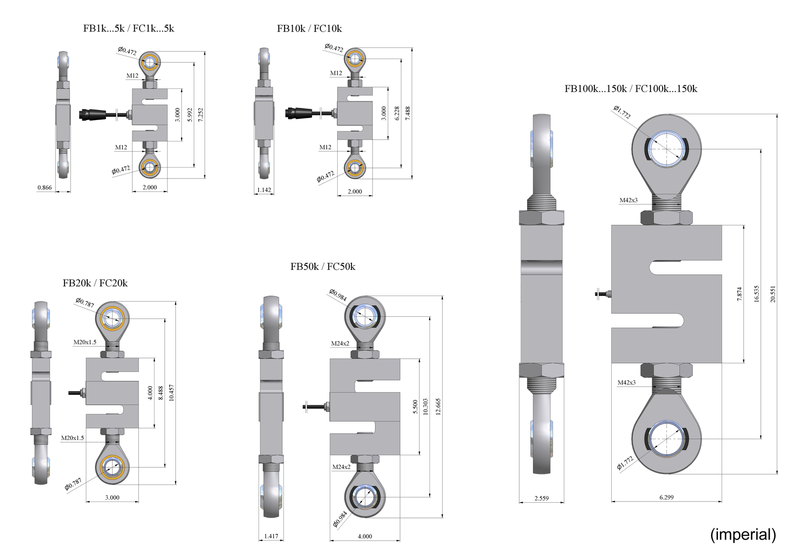 Two heavy duty swivel bearing joints designed to protect the loadcells against uneven and rapid movements.